In Dev Chat – Short Answers to Big Questions, our video series where developers answer your questions in less than 90 seconds. Above all, takt1 is motivated by the music. Music can be joyous, comforting, and beautiful. takt1 is about sensuality and art. The thrill of discovering something new. Variety. Enjoying the riches that await discovery. And hearing familiar music as though for the first time. 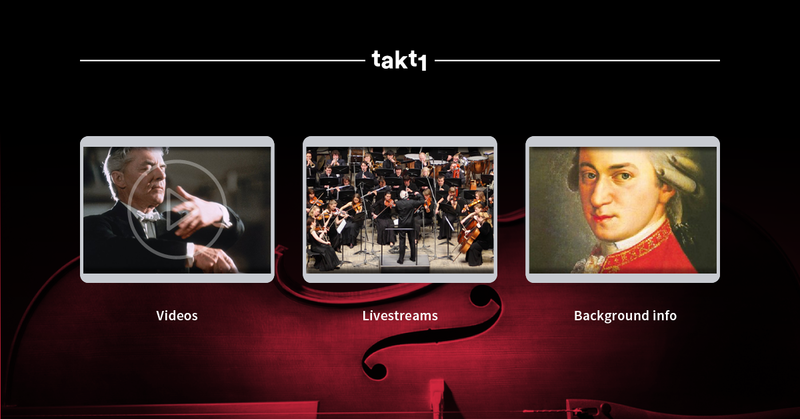 Holger Noltze (founder and editor-in-chief) likes to compare takt1 to a "Netflix for Classical Music" enriched with extensive background information. Particularly considering their target group, the team behind takt1 believes ease of use to be essential for their app's success and one of their many reasons for choosing Amazon Fire TV for their first app. Holger explains it as follows: "Amazon Fire TV was our first choice for our app because of its large user base and because of its ease of use. [...] People want to plug in the device and want it to just work." Consequently, takt1 launched their Amazon Fire TV app with both Login with Amazon and the In-App Purchasing API integrated from the get-go. In addition to the level of security and brand recognition that these services offer, one of the most instrumental reasons for them to include these services were ease of use on the big screen and a straightforward customer journey. By not asking their customers to enter their credentials or payment details when launching the app, Holger highlights that "the customer journey to actually purchase a subscription or single concerts is much easier compared to other applications." From a developing point of view, the team highlights that because FireOS is based on Android, it made them more flexible in developing their app and also helps them when potentially adapting it to other Android-based systems in the future. Thanks to their content-driven focus, takt1 relied on two agencies to help them developing their Fire TV app: 28 Reasons helped build the app itself, while Level51 was responsible for implementing APIs. They relied on the PHP-based RESTful API, as well as on Vue.js and Cordova. As they had already been using the same tech stack for their web application, it was very convenient for Level51 to be able to re-use their base architecture as well as their existing skill set when developing their first Fire TV app. Julian Scheuchenzuber (lead developer, Level51) adds: "It was really helpful for me during the development process as well as within our local sandbox that there is a demo application you are able to download locally to test your app with. When we went into thw production stage we noticed that the service behaves exactly the same as the sandbox. It was really convenient for us as we were able to test under realistic conditions even though we were still in test and beta stages." The team offers exciting answers about what takt1 is, why they chose Amazon Fire TV as their first destination, their experience developing for Fire TV, their reasons for integrating Login with Amazon and the In-App Purchasing API and details on how they market their app. Don’t miss the next edition of Dev Chat. Subscribe to the Amazon Developer Newsletter to stay up to date.